David was born October 25, 1951 in Lindsay to Paul and Jean Anderson and was raised and attended local schools. He graduated from Lindsay High School with the Class of 1969 and went on to attend College of the Sequoia’s and Cal Poly San Luis Obispo. He married Linda Milanesio at St. Aloysius Church May 29, 1976. David worked as an engineer with General Cable for many years and then after moving his family to Santa Maria, worked as an engineer for Okonite Cable there, retiring in 2013. 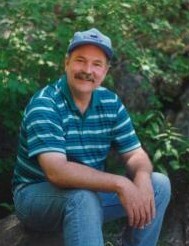 He enjoyed golfing, swimming, hiking, backpacking with his buddies from high school, woodworking, music and photography. He spent lots of time converting old photo’s to digital media and providing his family and extended family with copies of wonderful memories. He loved spending time with his family and friends and going to the casino. David was preceded in death by his parents Paul and Jean Anderson and a sister Joan Merritt. He is survived by his wife Linda Anderson of Santa Maria; his daughter Katie Anderson of Santa Rosa; his sister Sally Simpson of Oakhurst; his grand daughter Kaylani Miscoi as well as numerous other relatives and friends. No visitation is planned.